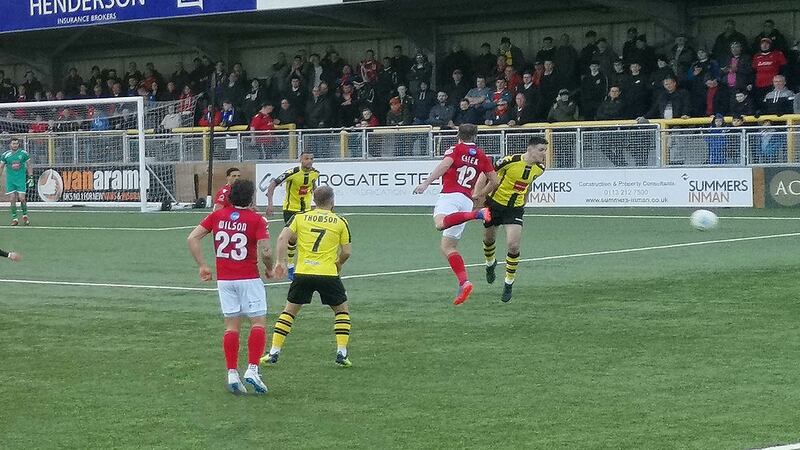 After the disappointment of Sutton United’s late winner on their last away trip, Fleet were ecstatic to turn the tables as Andy Drury’s last-gasp contribution gave his side all three points on this first visit to the CNG Stadium. Michael Cheek had given the Fleet an early lead only to be pegged back by a second-half Jack Muldoon equaliser. 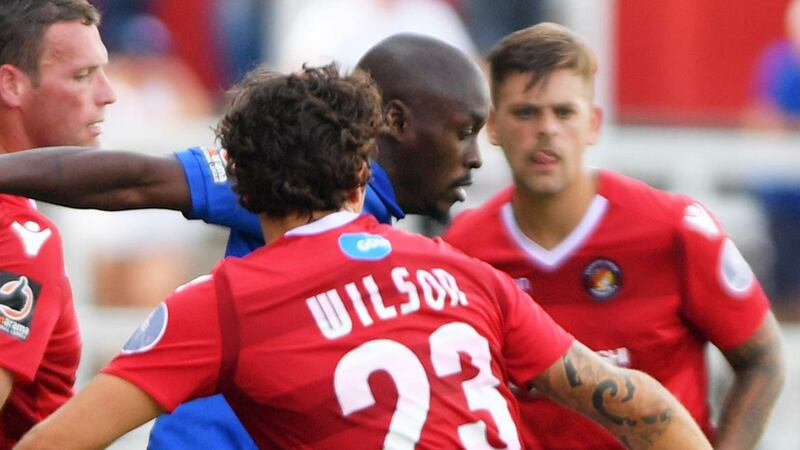 But with the game easing towards a draw, Drury – who has a habit of last-minute goals (AFC Fylde, Dover last season) pounced to bring the three points 230 miles south. 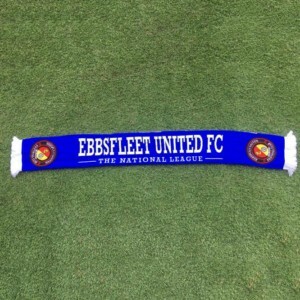 Fleet made three changes, with the suspended Dean Rance out while Danny Kedwell and Cody McDonald moved to the bench. In their place came Ebou Adams, Michael Cheek and Myles Weston as Garry Hill initially opted to plough a lone furrow up front. Fleet deployed what appeared to be a back three with Lawrie Wilson pushed further forward into wide midfield and Jack Payne providing cover to the defenders behind him. Initially Fleet looked like they might have problems containing the quickfire Town start as the home side kept the ball well and stretched the visiting defence. But the reds gradually settled and enjoyed an attack or two of their own. And one of those paid off swiftly when a Jack Payne corner on eight minutes was targeted for Cheek’s head and the striker got up ever so well to direct a firm header wide of James Belshaw’s reach. Confidence coursed through the visiting ranks after that goal and Fleet were swift into the tackle, Payne breaking up play well and the back three of Magri, King and Bush dealing with the sporadic attacks. 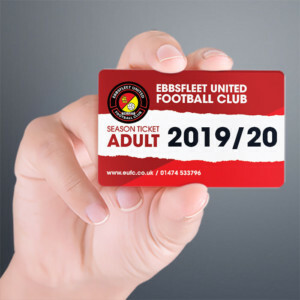 Fleet built on their goal with several more attempts at the target, Ebou Adams smashing Cheek’s lay-off just off centre with a fair burst of power. The referee then pulled up with what looked to be a hamstring issue and he was replaced by the fourth official on 13 minutes. Adams had a low cross fly across the box and then Payne hit a really decent effort just past the post. Somehow Harrogate kept out Fleet’s next foray on 22 minutes. Magri was left unmarked to head a cross down at the near post and Payne and Corey Whitely followed up as combinations of the woodwork and last-ditch defending on the goalline saved Town. Bush could have atoned for that moments later when he raced onto Payne’s clever floated free-kick into the box but with the home defence asleep, he seemed surprised to find himself in space and skewed the ball wide. Town began to assert themselves more around the half-hour mark. George Thomson had space to dictate in midfield and Jack Muldoon was a threat from the inside left channel. From one such Muldoon raid, Jack Emmett fired a shot on target that Nathan Ashmore had to react to at the last moment and he performed a quite wonderful push over the bar. Warren Burrell wasn’t far away with a header eight yards out before Thomson almost found space in a similar area and Ashmore managed to parry another long ball clear. On 36 minutes, another Town set piece caused confusion in the Fleet ranks and Drury had to execute a difficult hook to keep Liam Kitching’s header away from the target. Harrogate had one more big chance on the stroke of half-time when Ashmore couldn’t quite reach a corner and as the ball travelled back towards goal, Bush cleared off the line with Adams helping it on its way. Fleet had another couple of sniffs of their own late on, Whitely finding Adams with a good cross that was blocked before he then bent a decent shot wide of the goalkeeper that was touched behind for a corner. Whitely began the second half in similar vein, doing very well to skip a challenge from Magri’s deft pass and his cross was hastily cleared by Harrogate. But they countered quickly and on 50 minutes, Josh Falkingham broke and Muldoon showed power and pace to drive into the Fleet box from a position on the right, his low shot firm and just a bit too hot for Ashmore to handle. Fleet tried to recapture their verve of the first half and when Adams advanced to the byline to find Wilson free 25 yards out a shot seemed to be on the cards but the former Stevenage man seemed to get caught in two minds and instead returned the ball to Adams. The home side were finding a little more space in midfield and Thomson was able to pull some strings but too often Harrogate were guilty of overplaying their hand to the frustration of the home fans. Where the first half had been an entertaining spell for the good complement of travelling supporters, the second was short on chances and fluency. 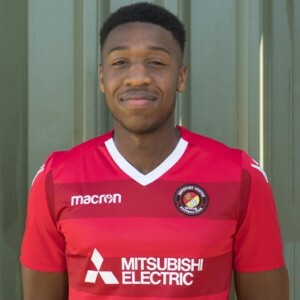 Fleet were probably quite pleased to see Thomson depart on 68 minutes for the speedy Dylan Mottley-Henry though he flattered to deceive a little on the right wing. Harrogate continued to carve out half-chances, with one in particular skipping across Ashmore’s six-yard box and then a 73rd minute free-kick doing much the same but there was little that was noteworthy as the match ticked towards its conclusion. 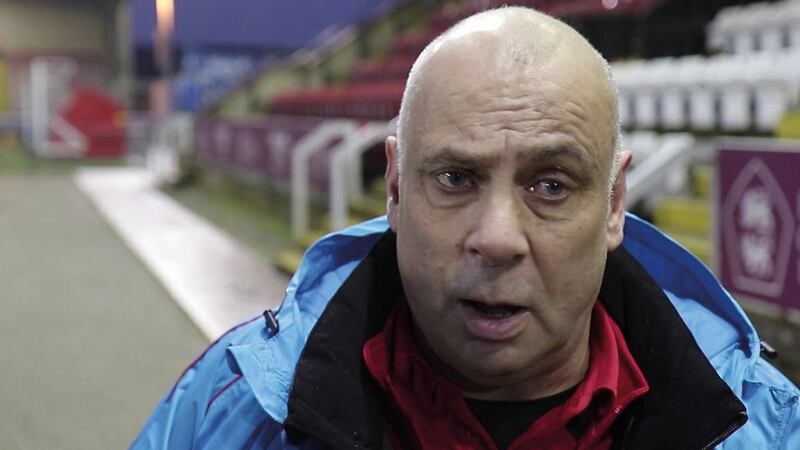 The home fans were adamant skipper Falkingham had been felled seven minutes from the end but the referee was highly dubious about that and on 85 minutes, Garry Hill finally blinked, swapping Whitely for McDonald. It certainly paid off two minutes from the end when Payne’s free-kick saw the substitute eventually help the ball back across the goal and there was Drury lurking with intent to fire it into the net before Belshaw could get across to cover. A through ball for Emmett in time added on was the best reaction Town could muster and when Ashmore dealt with a deep cross under pressure from four or five yellow shirts, the Fleet fans knew the three points was theirs. HTFC: Belshaw, Fallowfield, Kitching, Howe, Burrell, Falkingham, Thomson (Mottley-Henry 68), Emmett, Kerry, Muldoon (Williams 79), Beck. Subs not used: Senior, Cracknell, Woods.